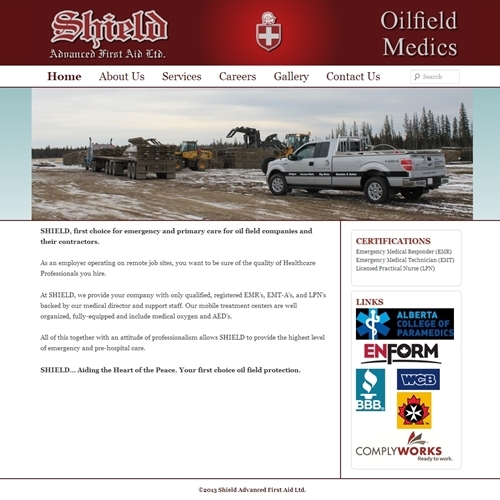 Shield Advanced First Aid Ltd has been providing on-site medical services to northern Alberta’s oil industry for almost twenty years. They decided that they needed a website, both to attract potential customers and, more importantly, to attract much-needed employees. Thanks for your speedy work, I think it looks great!